How To Choose The Best Accommodation For You In Spain? What’s The Best Travel Insurance? Spain is a mix of old and new, modern and traditional. For you as a tourist, Spain means bullfights, massive cathedrals, world-class art, Muslim palaces, vibrant folk life, whitewashed villages, and bright sunshine. You’ll find all those things, but the country’s charm really lies in its people and their unique lifestyle. Here’s all you need to know for your first time in Spain. Why Spain? What Is So Special About Spain? Poignantly windswept Roman ruins, cathedrals of rare power and incomparable jewels of Islamic architecture speak of a country where the great civilisations of history have risen, fallen and left behind their indelible mark. More recently, what other country could produce such rebellious and relentlessly creative spirits as Salvador Dalí, Pablo Picasso and Antoni Gaudí and place them front and centre in public life? 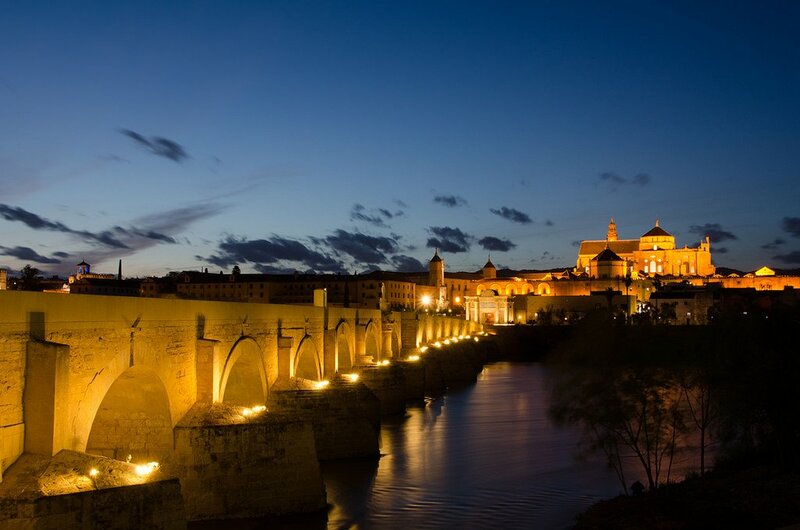 For all the talk of Spain’s history, this is a country that lives very much in the present and there’s a reason fiesta is one of the best-known words in the Spanish language – life itself is a fiesta here and everyone seems to be invited. Finally, food and wine are national obsessions in Spain, and with good reason. The touchstones of Spanish cooking are deceptively simple: incalculable variety, traditional recipes handed down through the generations, and an innate willingness to experiment and see what comes out of the kitchen laboratory. You may experience the best meal ever via tapas in an earthy bar where everyone’s shouting, or via a meal prepared by a celebrity chef in the refined surrounds of a Michelin-starred restaurant. How Much Time Should I Spend In Spain? The simple answer is: As much time as possible, particularly if it’s your first time in Spain. If you’ve got about a week or two to travel, your first decision must be determining how many days you should spend in Spain. No matter how much time you have in the country, have a look at my Spain itineraries, which are designed to help you make the best of your time. What Should I See In Spain? What Are Spain’s Must-See Destinations? I’m personally not a big fan of travel checklists and “must-see” tourism. Still, there’s no denying that Spain has a bunch of destinations that you should check out, especially if this is your first time in Spain. Barcelona. This city bubbles with life in its narrow Barri Gòtic alleys, along the pedestrian boulevard called the Ramblas, in the funky bohemian quarter of El Born, and throughout the chic, grid-planned part of town called the Eixample. It features works by native sons Antoni Gaudí, Pablo Picasso, and Joan Miró. Madrid. Lively Madrid has enough street-singing, bar-hopping, and people-watching vitality to give any visitor a boost of youth. It also offers top-notch art treasures (Prado Museum collection, Picasso’s Guernica) along with an unsurpassed tapas scene. Granada. This city has much to see, yet it reveals itself in unpredictable ways. Settle down in the old center and explore monuments of the Moorish civilization and its conquest. Sevilla. Sevilla also has its share of impressive sights — but the real magic is the city itself, with its tangled former Jewish Quarter, riveting flamenco shows, and thriving bars. Basque Country. Lead by the culinary capital of San Sebastián and the iconic modern Guggenheim Museum in Bilbao, this region also has many attractions scattered through the countryside and across the border into France. Toledo. Incredibly well-preserved and full of cultural wonder, the entire city has been declared a national monument. Enthroned in its history, this stony wonderland remains the historic, artistic, and spiritual center of Spain. Andalucía’s White Hill Towns. The Route of the White Hill Towns (Ruta de los Pueblos Blancos), Andalucía’s charm bracelet of cute villages perched in the sierras, gives you wonderfully untouched Spanish culture. When’s The Best Time Of Year To Visit Spain? Spring and fall offer the best combination of good weather, light crowds, long days, and plenty of tourist and cultural activities. July and August are the most crowded and expensive in the coastal areas, and less crowded but uncomfortably hot and dusty in the interior. Air-conditioning is essential. During these steamy months, lunch breaks can be long, especially in Andalucía. Off-season, roughly November through March, expect shorter hours, more lunchtime breaks, and fewer activities. Confirm your sightseeing plans locally, especially when traveling off-season. Though it can be brutally hot in the summer, winters can be bitter cold, and spring and fall can be surprisingly crisp. Where Should I Stay In Spain? Spain has a wide range of excellent hotels, from international brands to beautiful boutique hotels. Another good option for families and those who want their own, self-catering space is a Spain vacation rental, giving you the feel of living in your own apartment. Finally, there are also numerous backpacker hostels and guesthouses for the budget conscious. Have a look at a complete guide on how to choose the best accommodation in Spain, whether it’s your first time in Spain or not. Is It Easy To Get Around Spain? Spain’s network of train and bus services is one of the best in Europe and there aren’t many places that can’t be reached using one or the other. The tentacles of Spain’s high-speed train network are expanding rapidly, while domestic air services are plentiful over longer distances and on routes that are more complicated by land. Spain has an extensive network of internal flights. These are operated by both Spanish airlines and a handful of lowcost international airlines. Renfe is the excellent national train system that runs most of the services in Spain. Spain has several types of trains, and largo recorrido or Grandes Líneas (long-distance trains) in particular have a variety of names. If you’re renting a car in Spain, bring your driver’s license. You’re also required to have an International Driving Permit — an official translation of your driver’s license. Research car rentals before you go. It’s cheaper to arrange most car rentals from home. Compare rates among several companies. Always read the fine print carefully for add-on charges—such as one-way drop-off fees (usually minimal within one country but high for dropping in a neighboring country), airport surcharges, or mandatory insurance policies—that aren’t included in the total price. OK, I Want To Visit! So How Do I Get To Spain? Spain is one of Europe’s top holiday destinations and is well linked to other European countries by air, rail and road so you won’t have any problem moving around, even if it’s your first time in Spain. Regular car ferries and hydrofoils run to and from Morocco, and there are ferry links to the UK, Italy, the Canary Islands and Algeria. 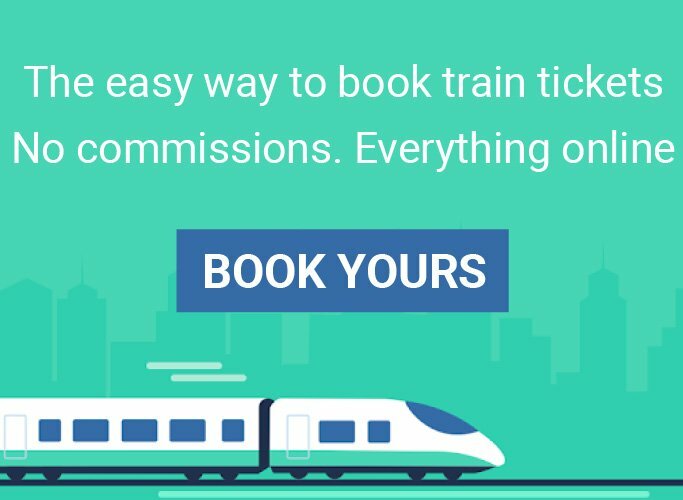 Flights, tours and rail tickets can be booked online. Barcelona is one of the big cities in Spain and a huge tourist hub. The El Prat airport (BCN) connects the city to the rest of the country, Europe and the rest of the world. 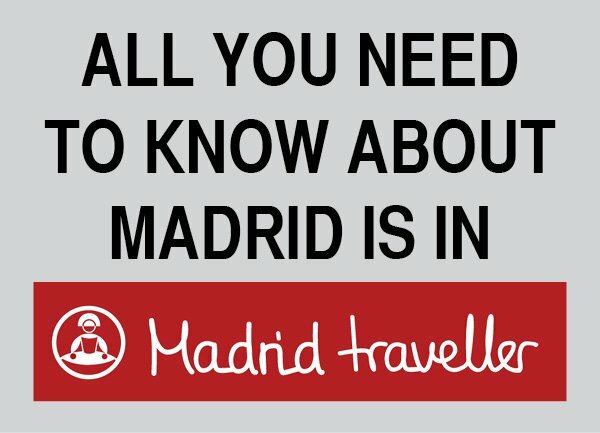 Madrid is an extremely well connected city that provides several options to get to, either from other parts of Spain or other cities around the world. The city has a major international airport, Barajas International Airport (MAD), linking to every possible destination you can think of. Seville doesn’t have a major international airport, but it’s very close to Málaga’s Costa del Sol International Airport (AGP), and it’s 2.5 hours by fast express trains from Madrid’s Barajas International Airport (MAD). If you’re coming from other parts of Spain, Seville is well served by the high-speed train (AVE). 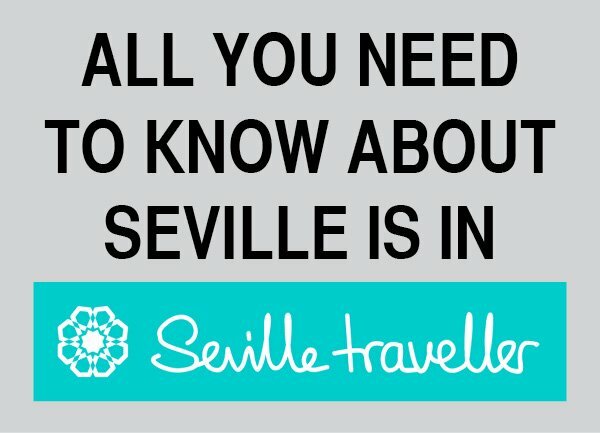 Either way, Seville is an easy destination to get to. Where Can I Get More Information The Main Destinations In Spain? Spain Traveller eBooks have been designed and written to help you maximize your time and enjoy your trip to Spain. The collection includes several destination guidebooks and a few gastronomic guides. 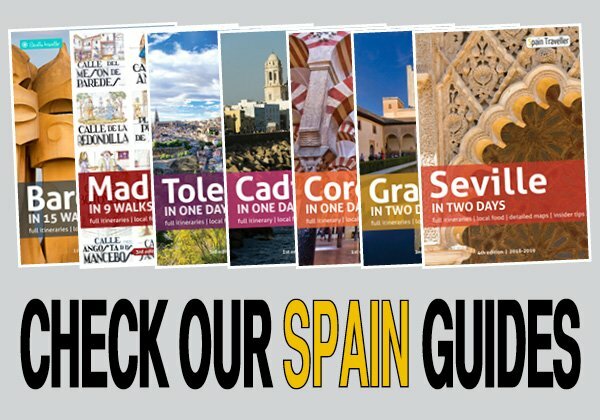 Whether it’s your first time in Spain or not, these guidebooks were created for adventurous travelers like you, who want to discover the country’s secrets and enjoy it as a local. Get Your FREE Co​py Of "Spain For The First Time"
Get Your FREE Copy Of "Spain For The First Time"
​First hand and updated​ information about Spain. ​Feel the country as a real Español, and experience it like locals do.